Karine first came to Phangan 6 years ago when it was her first time in Thailand, she was supposed to travel the Country for 6 weeks but spent all her time on the magic Island. 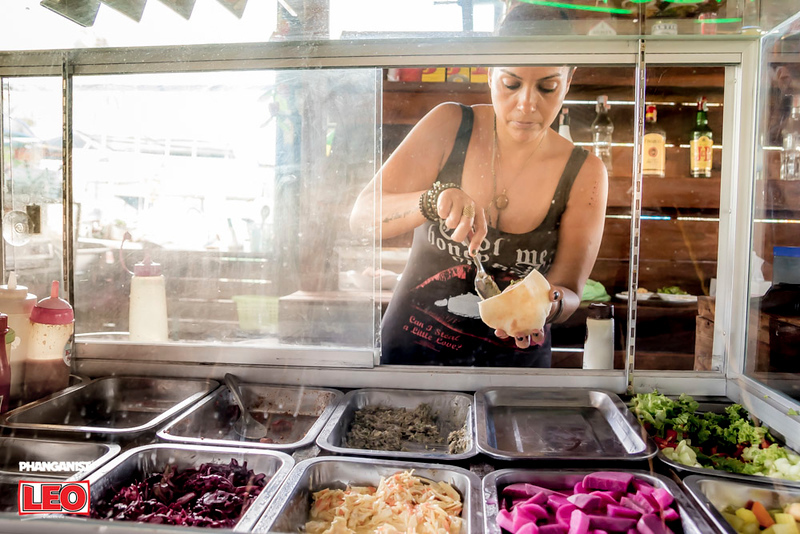 “The moment I got off the ferry I felt at home and I fell in love with the Island. The beaches, the energy, the jungle, the freedom, the sun, the moon, the stars, the rocks, the people, the food, the music and mostly the simplicity of life wearing flip flops”. Since then Karine has been coming here every year for as long as she could. Always waiting for the next time and feeling that she was leaving a part of herself behind every time she went back to Tel Aviv, Israel. “I was dreaming about living here in the most simple and happy way”. Last year in January Karine came back for a month and this time felt like she couldn’t go back to her old life and so decided to take a year off and stay here and just be! “That year even though it wasn’t easy was the best year of my life!”. Karine felt like she changed in so many ways and has learned so much about herself and mostly fell in love with herself and became more spiritual, relaxed, grateful and connected to Mother Nature then ever before as a lot of us do whilst spending time here. “I needed to find a way to stay on the Island and make a living and my profession of sales management and marketing was not very needed. All of my life, cooking was my passion and I use to throw dinner parties wherever I lived to all my friends and I enjoy feeding people and making them happy with home cooked meals”. Karine did the same on Phangan but this time people from all over the world would dine at her table and all of them loved the food more than she expected so she decided to open a restaurant where people would feel like they were coming to her home and eating her food along with the enjoyable company. 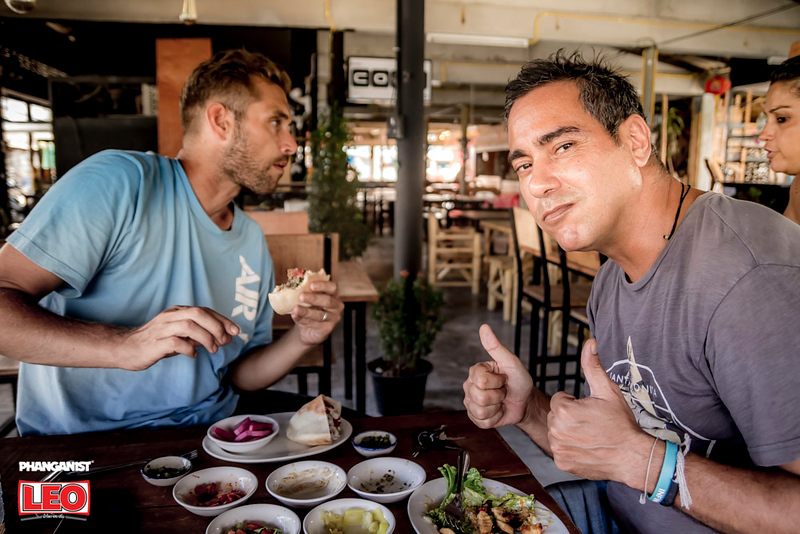 The restaurant Karina’s Kitchen was opened 2 months ago with great help from her partner which she gives great thanks to, Yaniv Batash who is an amazing loving friend to Karine and has lived on the Island for many years. 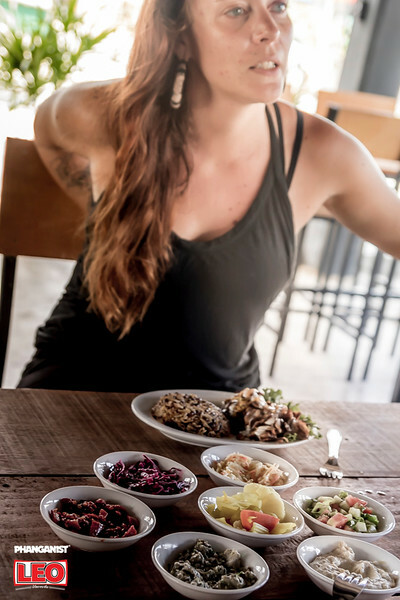 The concept of Karina’s kitchen and bar is Mediterranean/ Moroccan cuisine that serves a big variety of tapas style salads, like humus banganush tabule and much more together with many vegan options that are important to Karine as she has many vegan friends on the Island and wanted to bring them and give them more options. 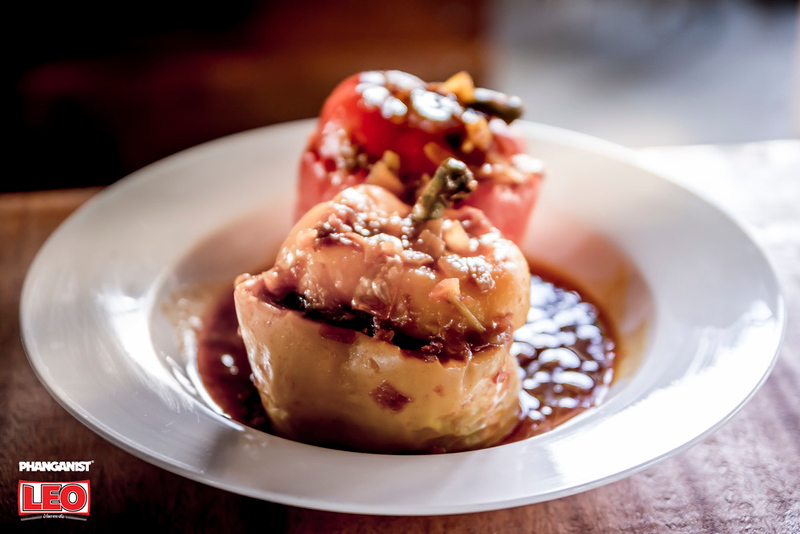 “We serve both vegan and non vegan dishes that I grew up eating at my grandma’s house and they were made by her and by my mother who was born in Morocco combining the local ingredients from our beautiful Island”. 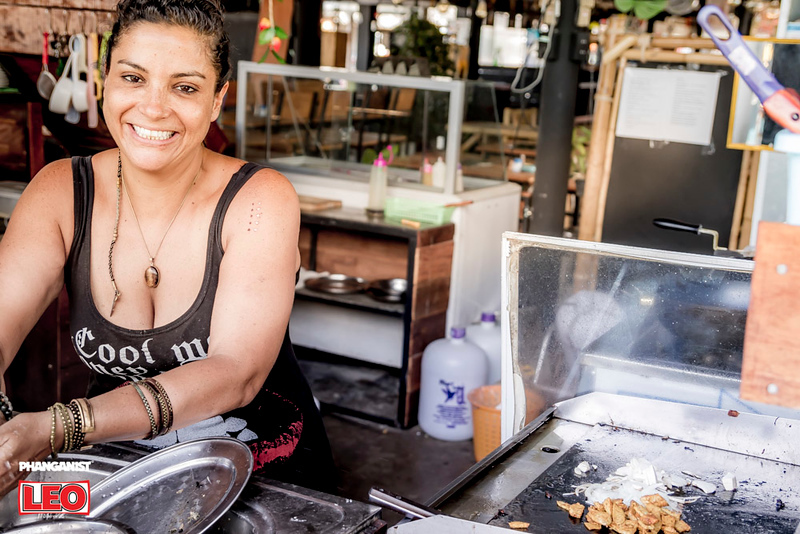 Karina’s also serve breakfast coffee and have a full bar in a nice spot that was designed with a lot of attention to create a place for locals to hang out at the food market, enjoy good food, good vibes and great people. 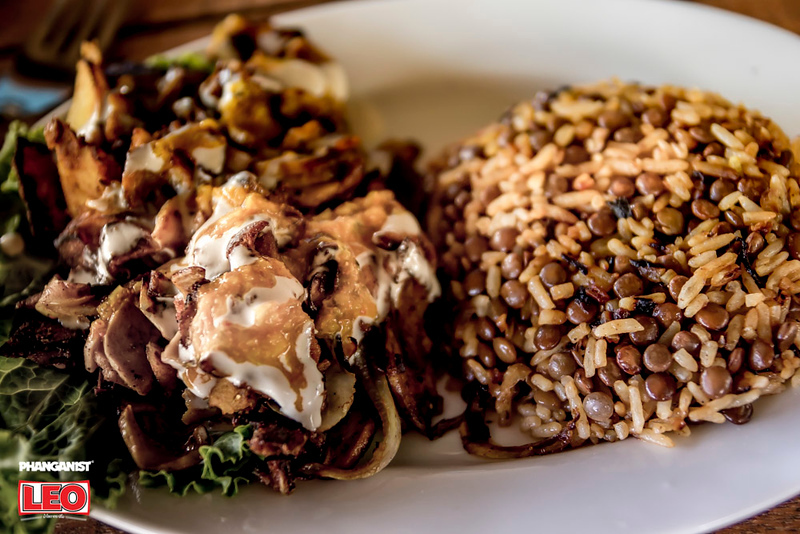 They offer many options from the grill and the lamb kebab and chicken shawarma are the best sellers next to the vegan couscous and vegan shawarma all served with a selection of homemade salads, homemade pita bread and mostly a lot of love. “When people come to the restaurant I treat them as if the come to my home and make sure they get more food than they can handle making sure that everything is tasty, comforting and also adding a special to the menu every day. 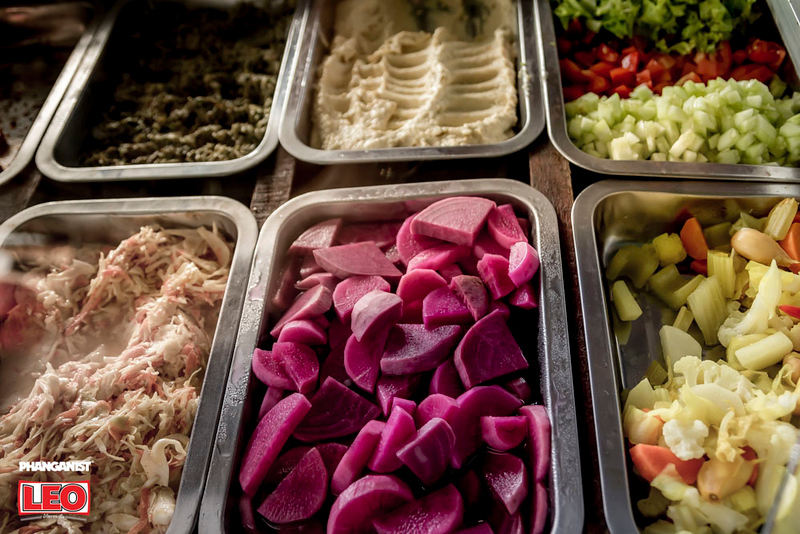 I shop in the morning and decide what I want to cook according to the variety of the market goods”. 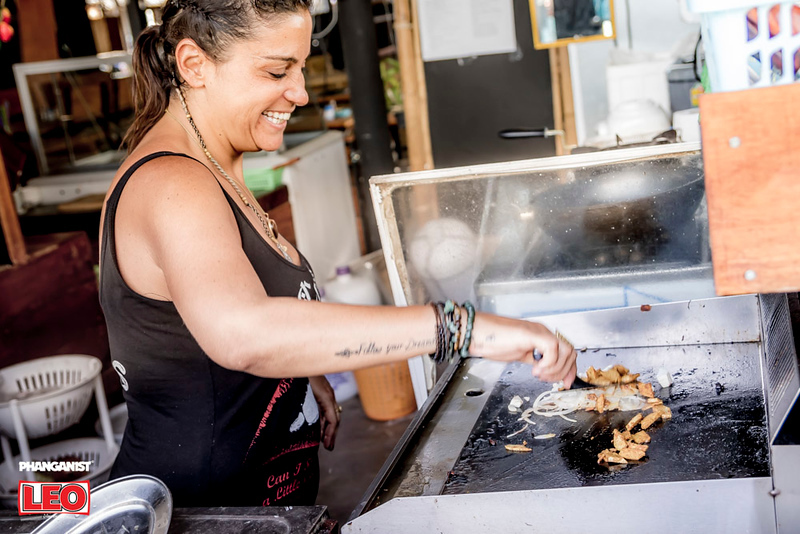 It’s important to Karine that the energy, the music and the vibe will always be welcoming even to those who join the table with food from other restaurants at the market. 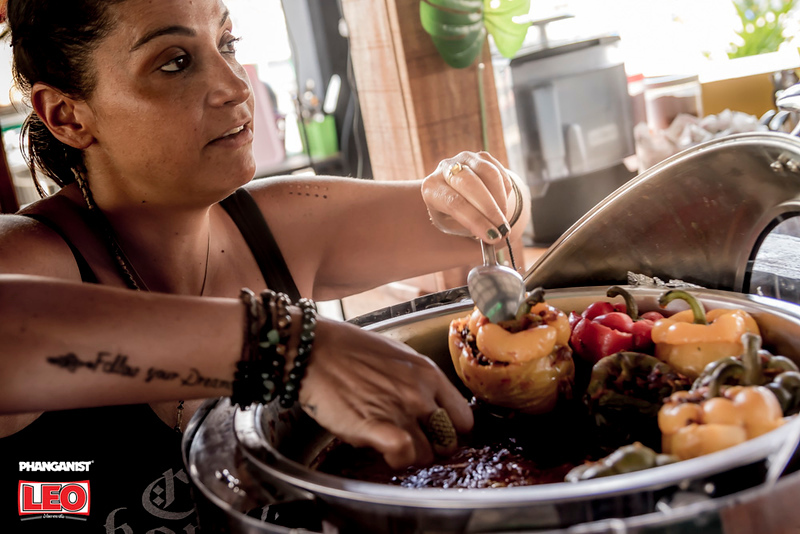 “I have made so many friends since I’ve opened because I always talk to my customers giving them tips about the Island, sending them to the best places, beaches and parties and always send something complimentary to the table”. 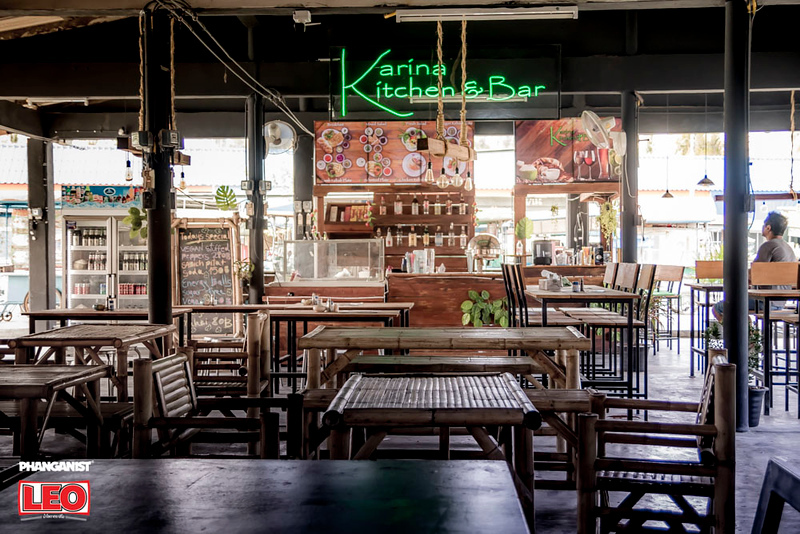 Karina’s Kitchen has created a place in the heart of the market that is away from the crowd but still very concerned to it. 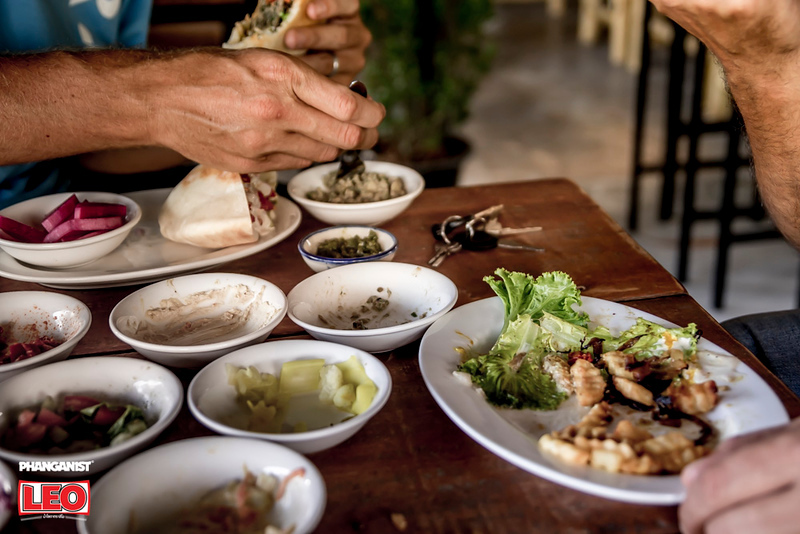 A place to drink a beer, meet up with friends and locals, eat a good meal in a nicely decorated restaurant that is not too fancy and you can be exactly who you are because that is the magic of Phangan. “I hope that the restaurant will be a place that you miss when you leave the Island like many places I use to miss and a place that you feel at home when you return. All I want is to keep cooking with love, make my customers happy and make a living in order to stay here and live my dream”. Karine enjoys so many things on the Island. Many people may think she has probably just got here because this is how it feels for her every day. “I take photos of Haad Yuan and get emotional at sunrise like its my first. I look at the stars and the moon like I’ve never seen them before. I dance at parties so happy and free once a week and tell everyone that thanks to that my food taste so good”. and I said ‘Karina’ and he said right away ‘that’s it then its Karina’s Kitchen!’. Walking into Karina’s Kitchen really is a warming experience, whilst Phanganist were there we bumped into island friends that have already made it one of their regular refueling stops. 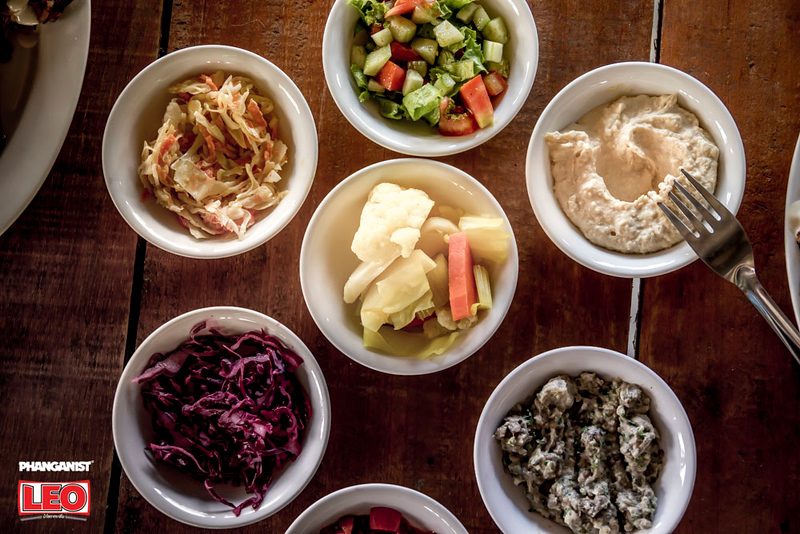 We enjoyed a vegan shawarma kebab and a chicken version along with your typical Israeli mezze (tapas style salads and pickles). You linger over the delicious, fresh food whilst enjoying a catch up with friends, taking your time to savour all the sweet mouthfuls and at ease in the light surroundings whilst Karina’s music of choice plays, creating that well known Phangan local vibe. 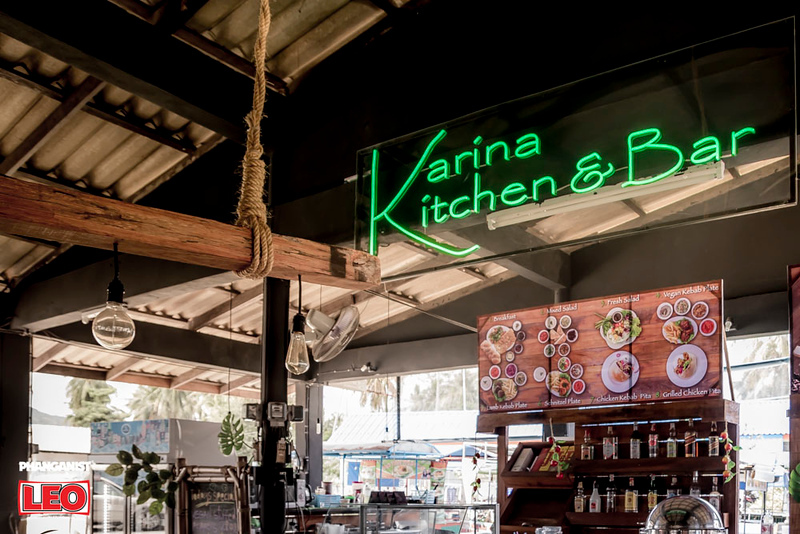 Find Karina’s Kitchen in the right covered side of Thong Sala Pantip Food Market!